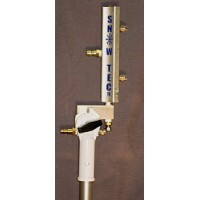 Snow-Tec's ST4 snow gun. This snow gun is built for high volume pumps up to 6gpm and will produce a Blizzard! This is SNOW-TEC'S largest ST series snow gun. 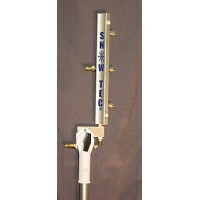 With 4 stainless bulk nozzles for maximum snow production, custom built to your equipment specs! 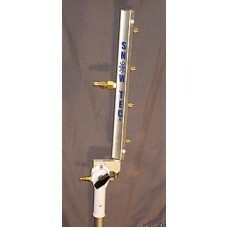 This snow gun will handle large pressure washers 4gpm up to 6gpm! MORE WATER = MORE SNOW!! 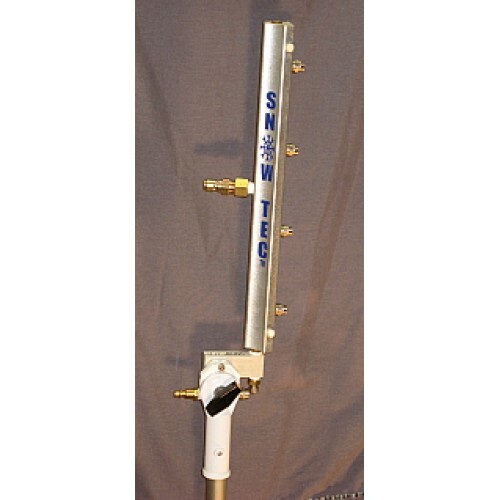 Snow-Tec ST4 has the same construction specs as our ST2 & ST3 snow guns but with a larger 16", 4 nozzle 6061 aluminum main body. Comes with 3/8" male high pressure hose kwik connect and 1/4" male kwik connect air fitting, along with our NEW 0-200psi air pressure gauge for accurate "At The Gun"psi readings. 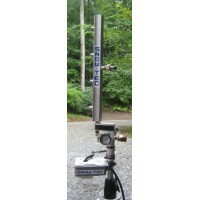 Our aluminum pole mount will fit any 1"od or 25.4mm diameter pole. Set-up instructions, Snow making tips, Air line kwik connect insulator and Wet-bulb chart. AIR COMPRESSOR: 5.4 cfm @ 90 psi. PRESSURE WASHER: 4 TO 6 gpm. Use a 3/8"dia.or 1/2" high pressure line ONLY. *Please submit your compressor, pressure washer and hose fittings specs in box's provided above the "add to cart" button when placing order. 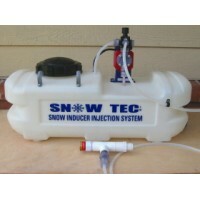 ST4 Snow Gun Package: NEW LOWER PRICE!